• 4 people like this. Do you like this? 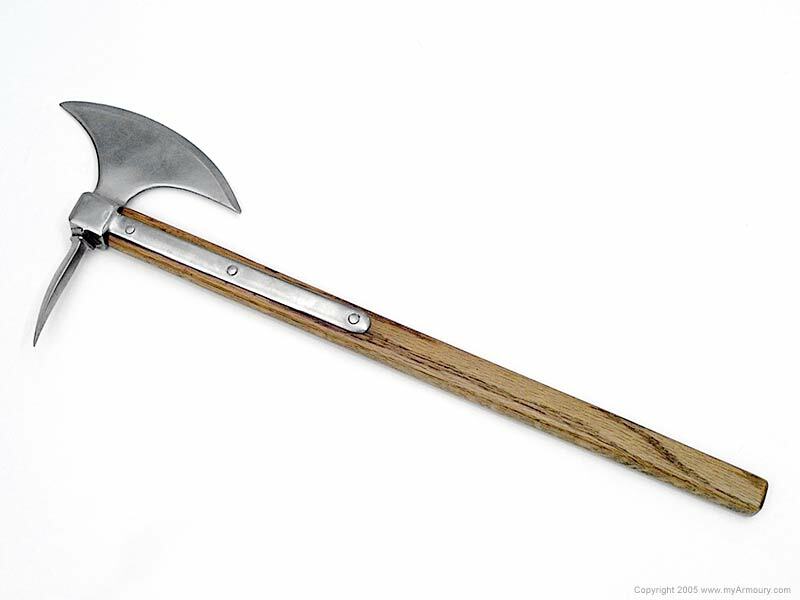 This axe is of a type used by warriors and mercenary soldiers in the era where foes often wore significant armour, often with plate defenses. 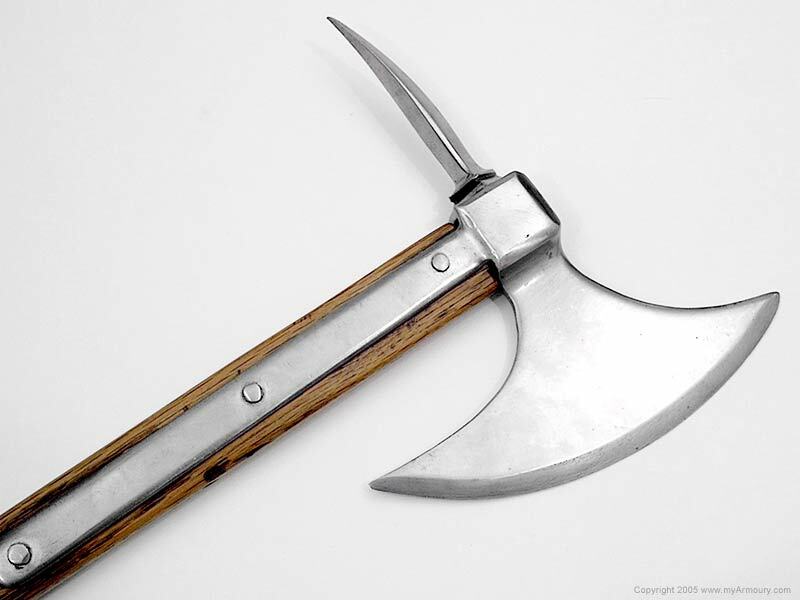 Though plain and workmanlike, the short, sharp chisel wedge could defeat lesser armours and damage better pieces, while the backspike could punch through the gaps in well-made harnesses, and could potentially penetrate even plate defense. 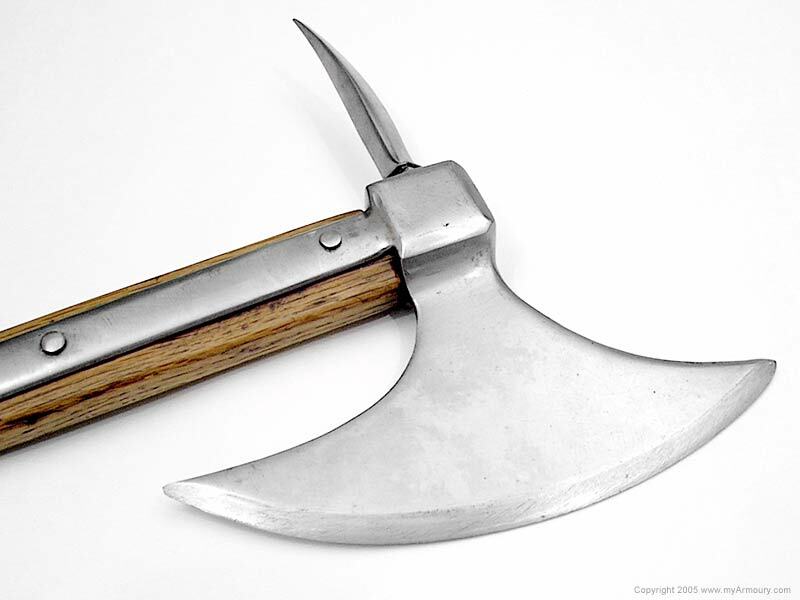 An axe such as this would serve well as a backup sidearm for a mercenary pikeman, archer, or halberdier. 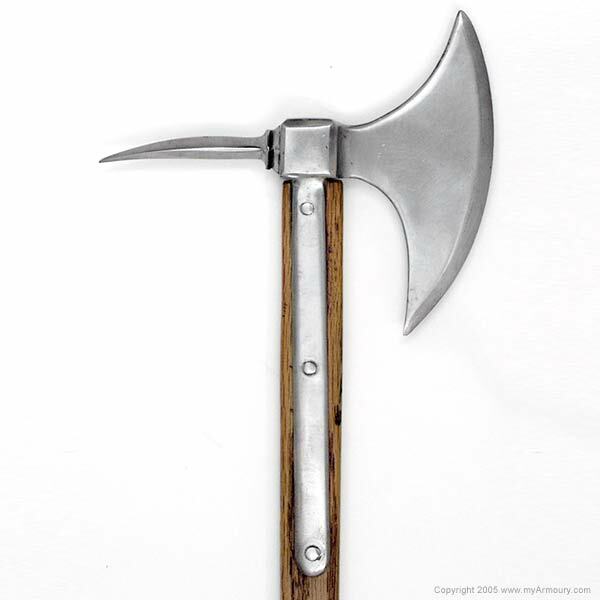 This short hafted axe sports hand-forged head of tool steel. 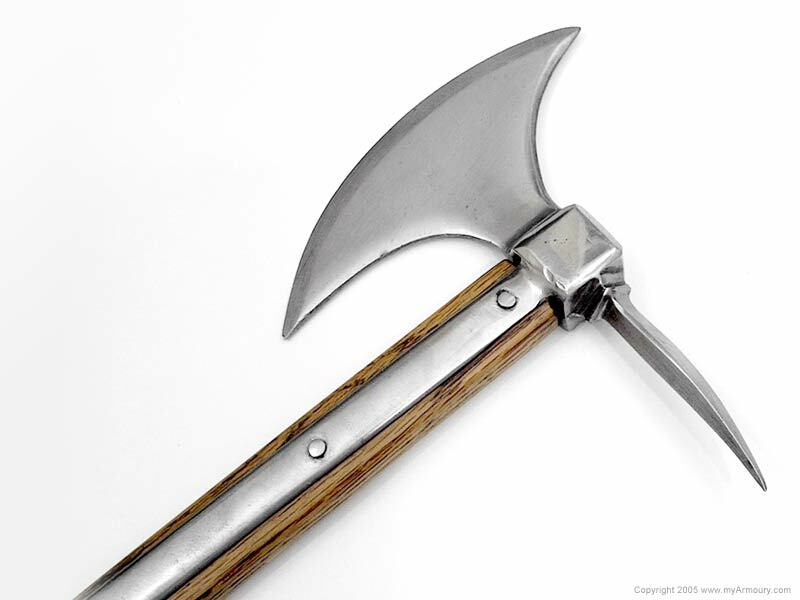 The axe has a short edge with a slight downward curve, and a quadrangular backspike. The shaft is ash, and is protected by langets. 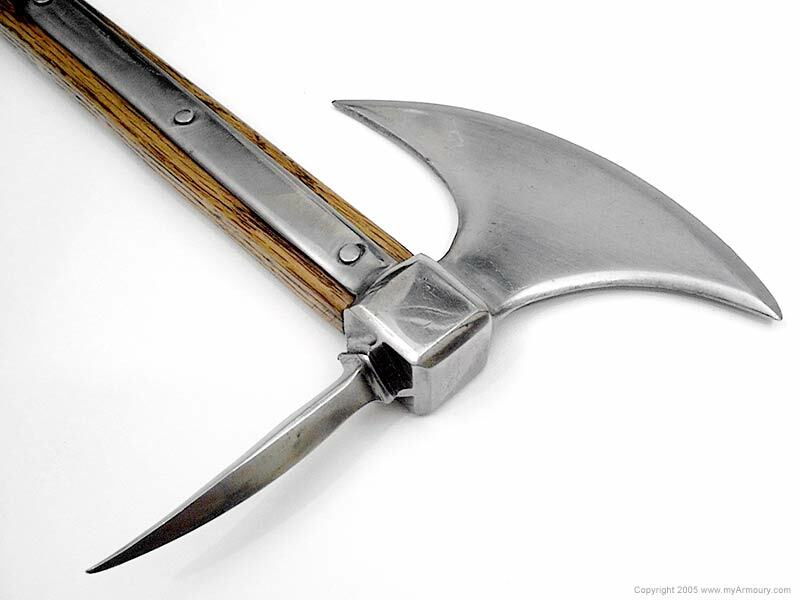 Head width, edge to spike: 8.25"
Maker: Eddie Floyd of Swordplay Alliance.